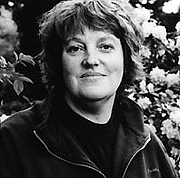 Ann Lovejoy is a free-lance garden and food writer. In addition to her columns on gardening for the Kitsap Sun and the Seattle Post-Intelligencer, Lovejoy has written a number of books. Her areas of emphasis include organic/sustainable gardening and year-round gardening. Lovejoy teaches gardening workshops across the Pacific Northwest, and has been featured on HGTV, National Public Radio, and public television. Ann Lovejoy is currently considered a "single author." If one or more works are by a distinct, homonymous authors, go ahead and split the author. Ann Lovejoy is composed of 1 name.